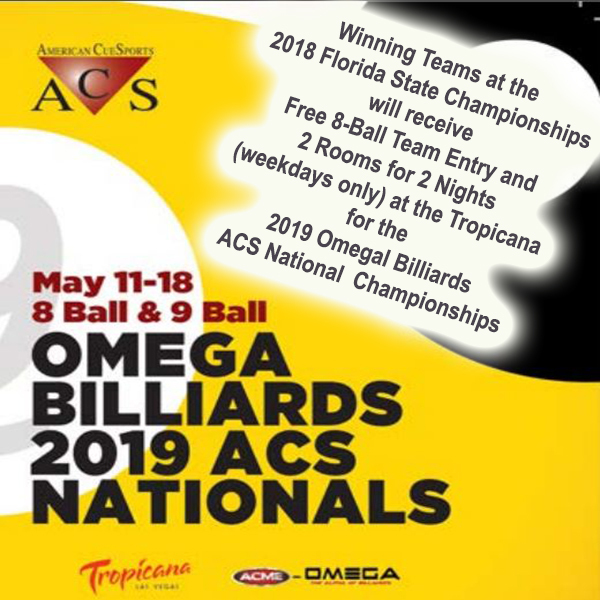 Sunshine State ACS is proud to announced that the winning 8-Ball team from each team division (Bronze, Silver, and Gold) will receive free entry into the Omega Billiards 2019 ACS National Tournament. The entry is for standard division only. 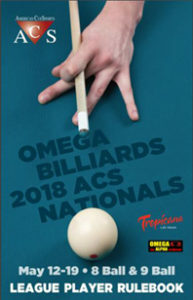 Plus, each team will also receive 2 rooms for 2 nights (weekdays only) at the Tropicana for the Omega Billiards 2019 ACS National Tournament. 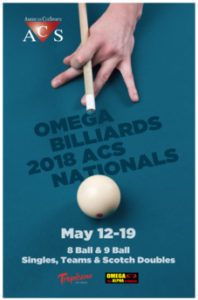 The Omega Billiards 2019 ACS Nationals is scuedled for May 11-18, 2019 at the Tropicana in Las Vegas, Nevada. The tournament hosts 8-ball and 9-Ball team events, singles play in both 8-Ball and 9-Ball, and a scotch doubles event. There are also 2nd chance tournaments offered in all 8-Ball divisions. 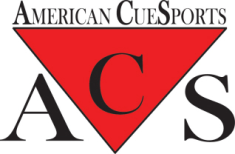 Learn more at ACS National Championships.